Only 50 percent of couples in the world use birth control, and worldwide, women have an average of four children each. 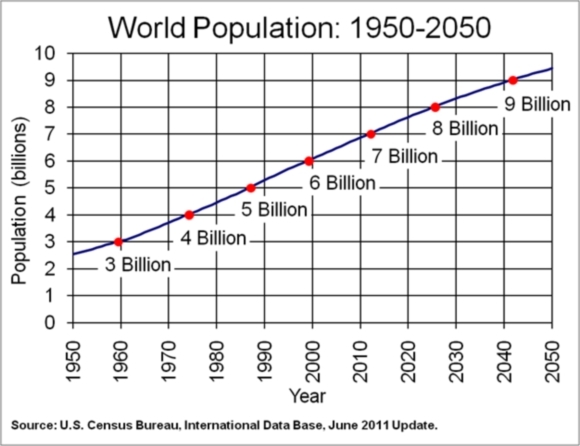 If this trend continues the world population will grow from 5.3 billion in 1991 to 14 billion at the end of the next century. But if affordable family-planning services and education reach 75 percent of couples in the world, the population will stabilize at 9 billion by 2050. The "more developed" countries are already on the path to population stabilization. But these include only 18 percent of the world's population. Another 29 percent of the world’s population are headed in the right direction. But the remaining 53 percent need family-planning assistance badly. Or they will fight wars with each other, using dog-eat-dog mentality. Overpopulation causes crowding which in turn causes aggression—it’s a well-known scientific fact. Again, we have to ask why they're not choosing to use dog-act-smarter mentality rather than dog-eat-dog mentality. Just because their Church or Temple or Mosque is pushing beliefs about be fruitful and multiply and is frowning on birth control, that doesn’t mean people have to act like lemmings or sheep and just mindlessly follow. It is up to humans to think for themselves, not act like puppets run by puppeteers, and if the stuff one hears is going to cause one to flush ones hopes and future down the crapper, one can politely decline the advice. Additionally, just because there are customs and traditions that belittle the family that doesn’t breed like rats, that doesn’t mean one has to blindly follow them. Doing something without the slightest bit of thinking or the slightest bit of planning is to act irresponsibly, stupidly, and foolishly. The difference between humans and monkeys is that we are self-aware, we can reflect on actions, plan wisely, be proactive, and make good choices. 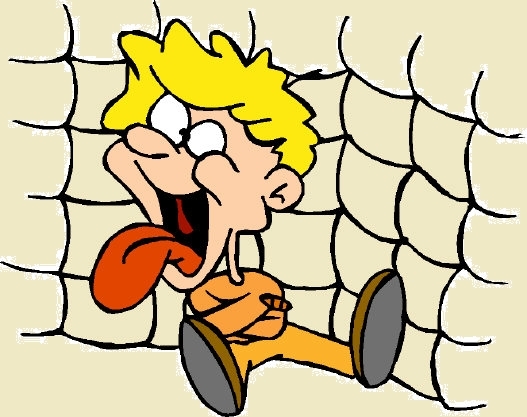 A monkey mostly is stuck with following the troop, just like a sheep is stuck with following the herd. They are not self-aware. They don’t know any better. We do. Well—at least many of us do. Yet, others tend to act like sheep, so there is overpopulation-caused violence, killing, suffering, and wars. An example of a decent win-win alternative to the inoperable lifestyles of those who behave like sheep: Microcommunities. They will contain no mindless sheep, and they will produce no mindless sheep. Quite the opposite. They will produce conscious, autonomous, self-actualized humans that live in ways to make families, neighborhoods, communities, and the world work better. MUCH better. See for yourself: The Forest Through The Trees. 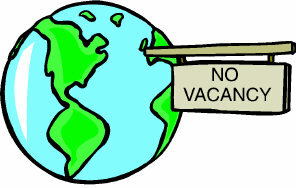 World population in the middle of 2013 is estimated to number 7,084,000,000 people by the United States Census Bureau. The growth rate peaked at 2.2% in 1963, and had declined to 1.1% by 2011. Total annual births were highest in the late 1980s at about 138 million, and are now expected to remain essentially constant at their 2011 level of 134 million, while deaths number 56 million per year, and are expected to increase to 80 million per year by 2040.